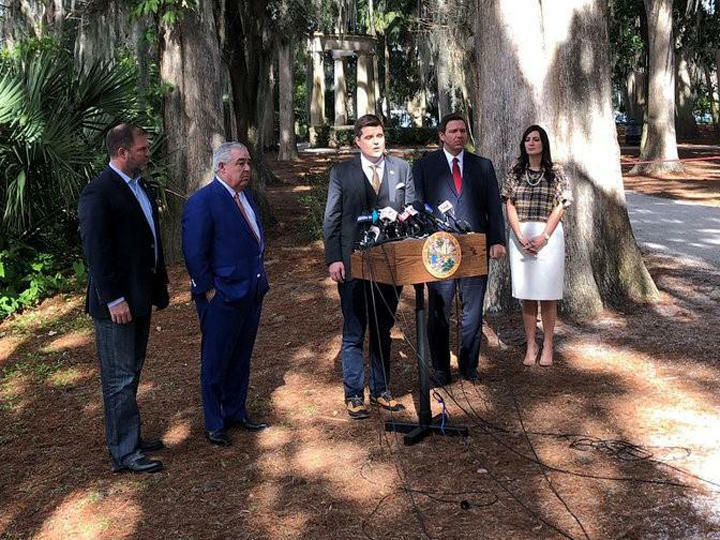 On Jan. 17, Matt Goetz (middle) introduces John Morgan (on left) during a press conference announcing changes to the handling of the smoking ban on medical marijuana. Gov. Ron DeSantis (on right) said he would like to see lawmakers make changes. In all of the cases, the House’s position was based more on principle --- a legislative branch of government being shut out of lawsuits in which courts found fault with the legislatively created laws --- than on the specifics of the policies involved. "In response to the Governor’s request, the Speaker expects the Florida House to review the regulations established in law, including caps and vertical integration. Our goal is to ensure access to medicinal marijuana while continuing to prohibit recreational use and prevent criminal diversion," Piccolo said.